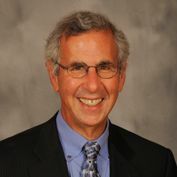 Robert E. (Bob) Friedman has helped lead the development of the assets and economic opportunity field for nearly four decades, pioneering self-employment, entrepreneurship, homeownership, education, savings practice, policy, market and research pathways. Bob founded and still works for Prosperity Now as General Counsel and Chair Emeritus, where he spearheaded major policy and practice initiatives on self-employment, Individual Development Accounts and children’s savings. He helped found and Chair the Association for Enterprise Opportunity (AEO). He serves on the Boards of Ecotrust, the Rosenberg Foundation, the San Francisco Foundation, the Friedman Family Foundation, and Child and Youth Finance International. He is a former board member of the Family Independence Initiative, EARN, Levi Strauss & Co. and the Levi Strauss Foundation. He is a graduate of Harvard College and Yale Law School, and a recipient of the Presidential Award for Microenterprise Excellence and the Council on Foundations Award for philanthropic innovation.